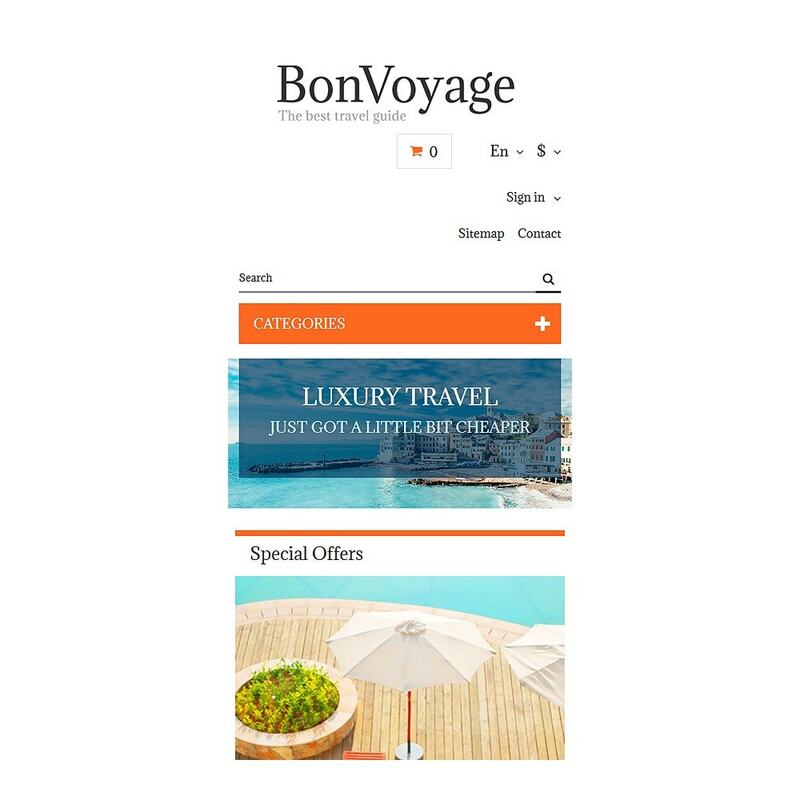 BonVoyage is a beautifully designed Trip Planner PrestaShop Theme best suited for travel agencies, hotels, spas, and other travel-related online resources. Its straightforward layout predisposes every visitor to book a tour. The theme was designed to look sharp on both desktop and handheld devices. 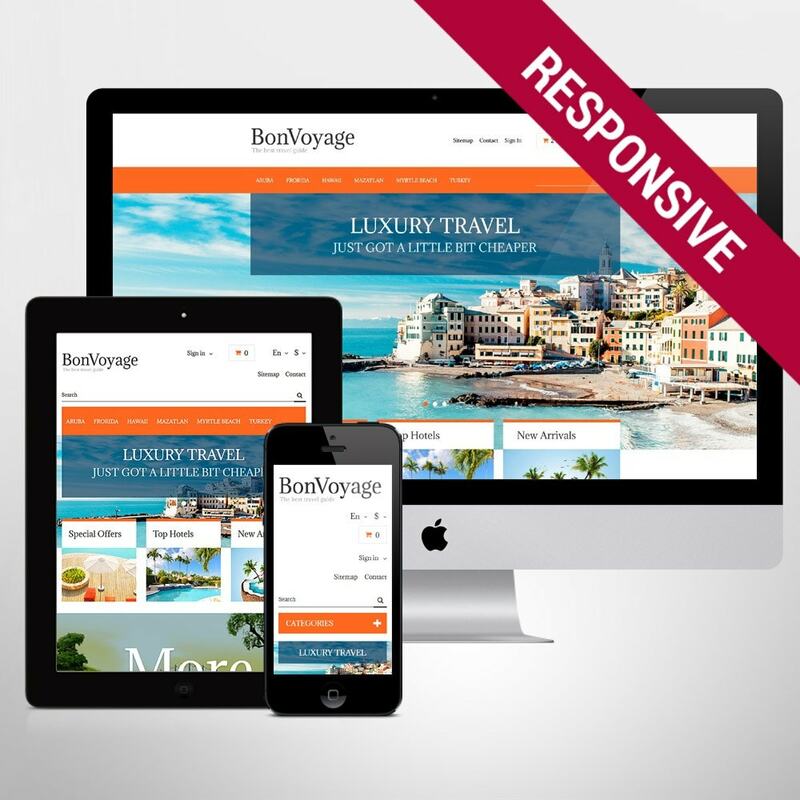 Cross-browser compatibility ensures that all content will be properly displayed on the major web browsers. 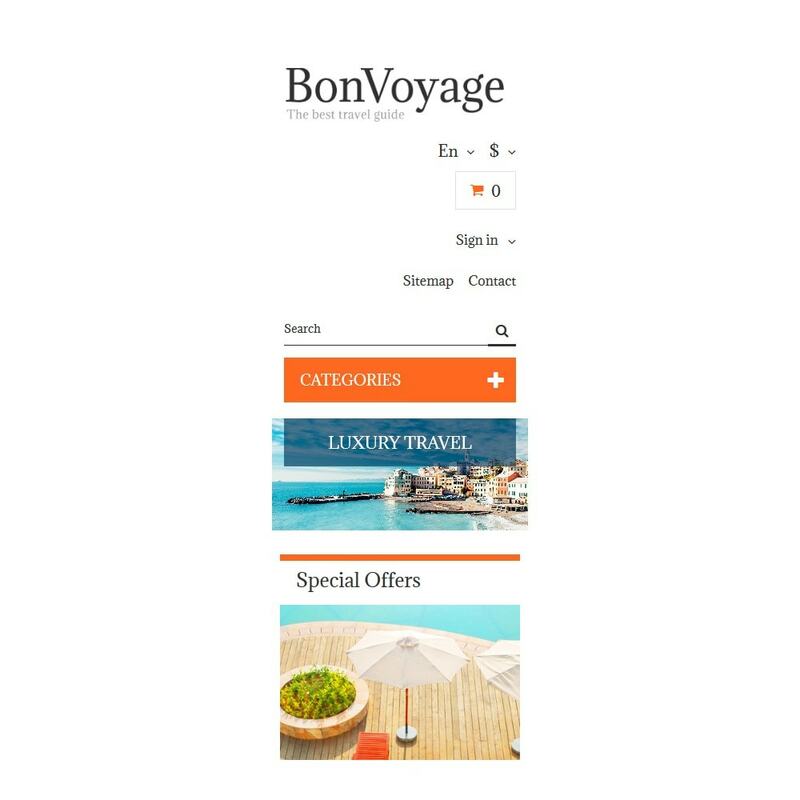 It has a simple header, easy-to-follow navigation and built-in search bar to help users find the necessary information in a matter of clicks. 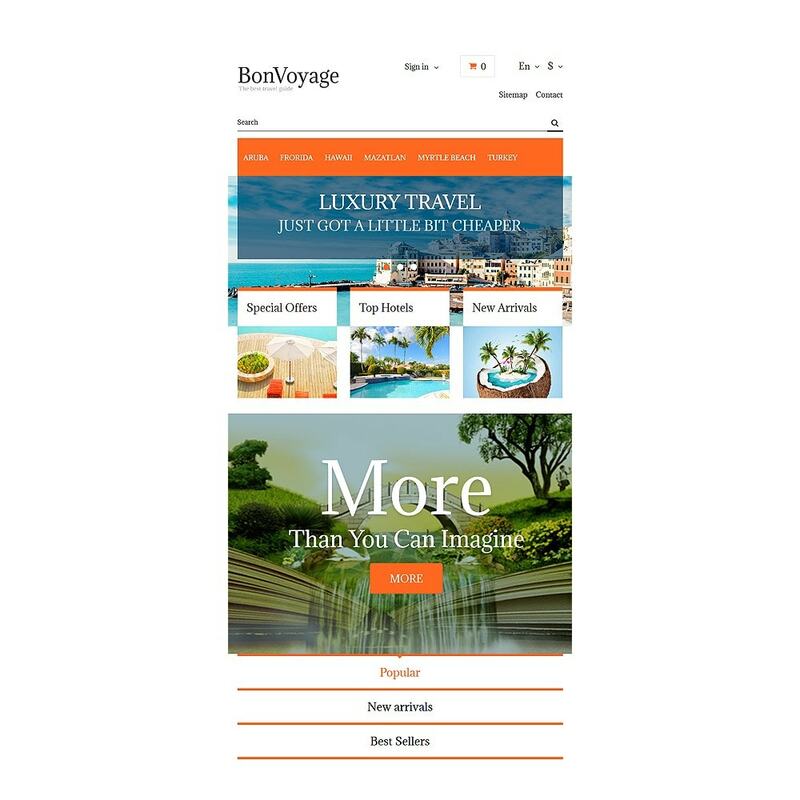 The theme features a simple contact form, online chat, newsletter subscription, and commenting system. In such a way, your visitors can participate in hot discussions and read other users' testimonials. 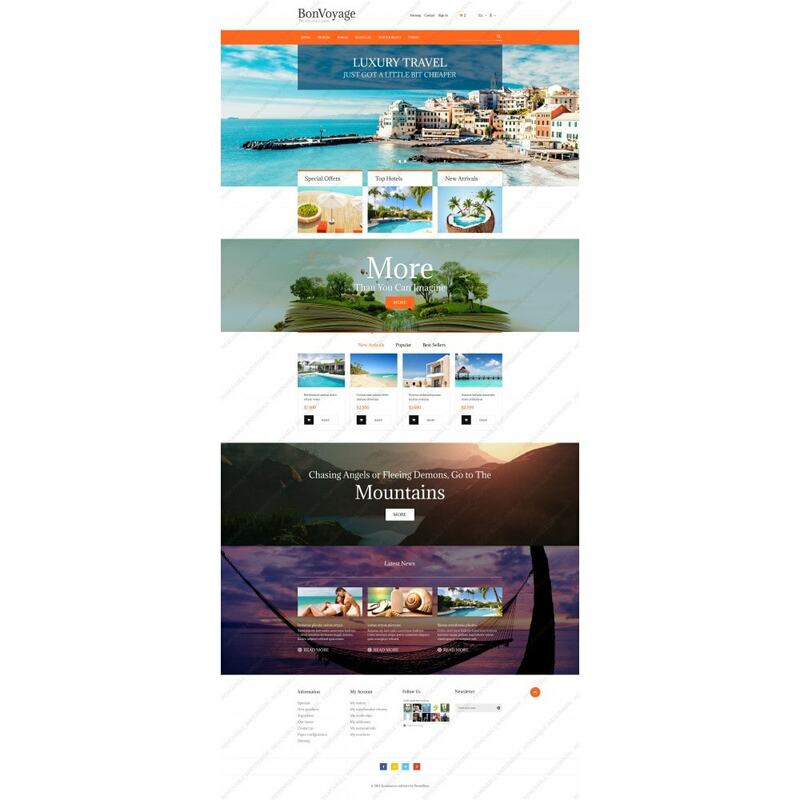 The theme can be used for travel, hotels, holiday, and entertainment websites.